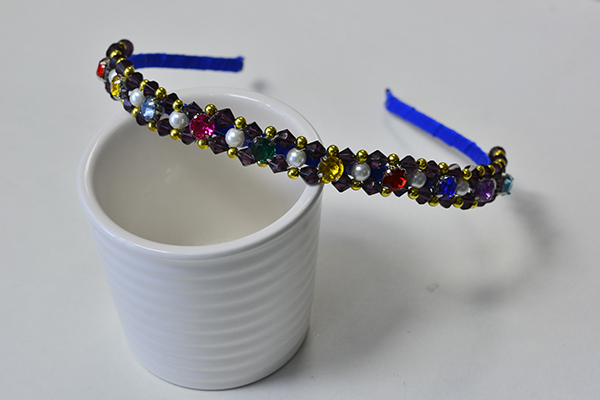 Summary: Do you want to make a simple beaded headband? If yes, you can see this Pandahall tutorial on how to make glass beaded headband with blue ribbon. 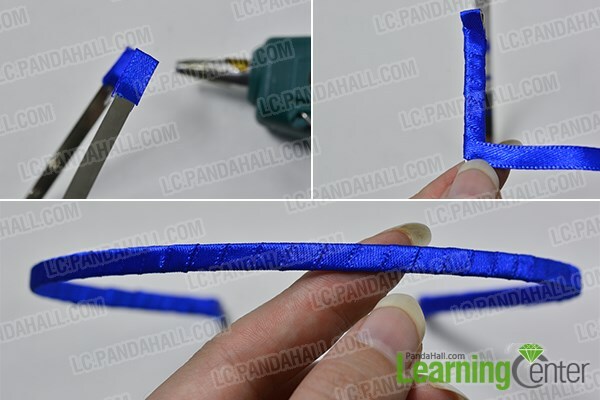 Now, I am going to share you a Pandahall tutorial on how to make glass beaded headband with blue ribbon. 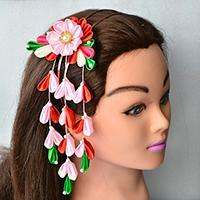 And you can make one for yourself if you are searching for a special beaded hair jewelry pattern. 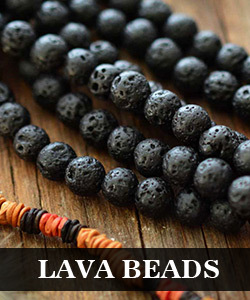 The combination of different kinds of beads makes this headband look so cool. Hope you will like it. 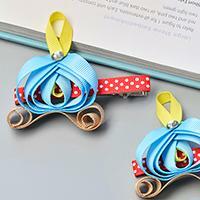 2nd, wrap this blue ribbon around the hair band finding, then cut off the extra part (as shown in the picture). 4th, continue to slide glass beads, pearl beads and acrylic rhinestone beads to make more same beaded patterns until you get desired length (as shown in the picture). 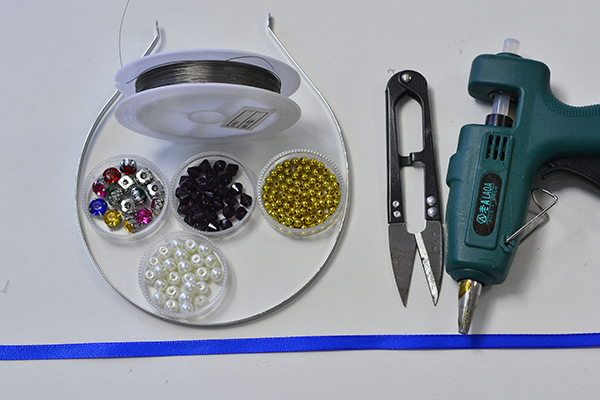 3rd, glue this beaded pattern onto the blue ribbon band (as shown in the picture). Look at this simple headband, do you love it? Then are you going to make one? It should also be great to exchange the blue ribbon into other colored one. So just be creative and do what you really like. Expecting for your crafts!